Topped with our special Dalyburger sauce, making it the best quarter-pounder since 1948! 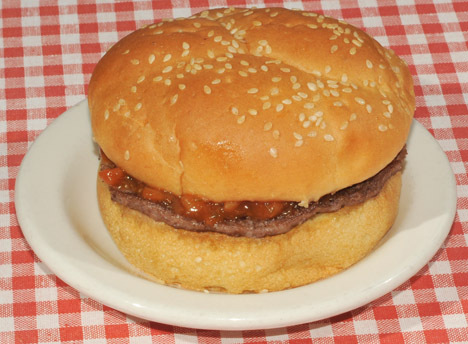 A 1/3 pound version of our famous Dalyburger, proving that bigger is better. The perfect Daly burger for smaller appetites. 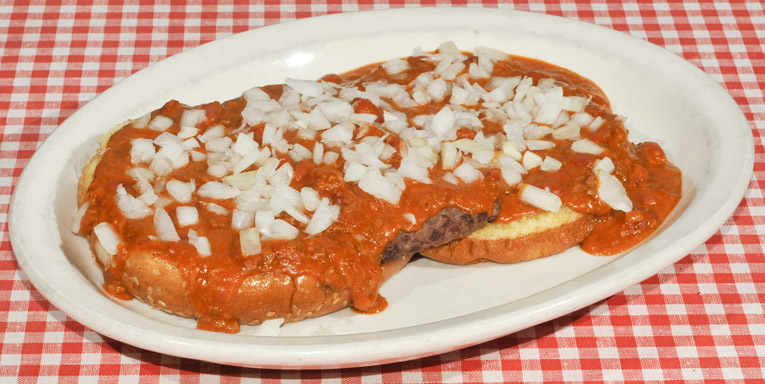 A delicious 1/3 pound Super Dalyburger served open-faced, covered with chili and topped with diced onions. Our delicious Patty Melt covered with chili. 1/3 pound with fried onions, American and Swiss cheese, on grilled rye. 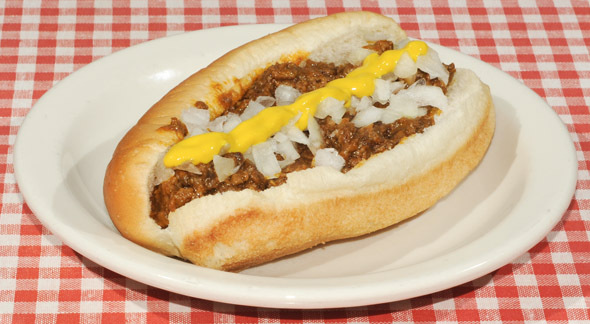 Loose hamburger meat cooked with coney sauce, topped with diced onions and mustard.